There are several moments in life when we might need legal services and we should hire a divorce lawyer, a civil lawyer or any other professional from the different types of lawyers. 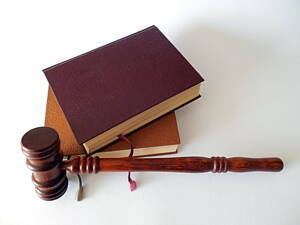 We not only my need the services of an attorney as individuals but also as a company. A legal advisor or tax lawyer who perfectly knows all the labour laws can help us to go through all de legal documents we need to fill in for the right development of our company without committing any mistake. Luckily, there are plenty of attorneys with a brilliant lawyer career that are ready to procure the best for you and help you prove your innocence if you have been accused of any felony. Find state attorneys, family law solicitors, litigation lawyers, criminal attorneys and many more among the Infoisinfo list of the best lawyers in Nigeria. The choice of a lawyer is very important since it will depend on the kind of legal issue concerning you. Infoisinfo directory eases your search offering only the best services, but you can also find online help on how to choose the best lawyer for your needs. It is important that you ask for references and search them online as well as knowing how to conduct candidate interviews. At Infoisinfo we always work hard to be able to provide you with the most useful information possible so that you can easily find the best products and services for you or your company in Nigeria. We care about you and your business and to guarantee that your legal rights are respected, we want to inform you about the legal aid you can obtain in Nigeria. Thus, we have prepared a list of the best lawyers in Nigeria for you to choose the solicitor that better meets your needs. Get in touch thanks to the contact details provided such as phone numbers, address, websites or opening times. In addition, you can have a look at comments and valuations from other clients to get a better idea about the different lawyer firms. 17/19 Allen Avenue Ikeja Lagos Nigeria. Lagos. Lagos. Afri-Investment House, Plot 2669 Aguiyi Ironsi Street, Zone A6. Abuja. Abuja FCT. 38 Lobito Crescent. Abuja. Abuja FCT. Suite 3, 1St Floor, 99, Awolowo Road, South West, Ikoyi. Lagos. Lagos. 13A, A. J. Marinho Drive. Lagos. Lagos. We provide legal advice to domestic and international clients doing business in Nigeria. Templars is one of Nigeria’s leading law firms. Bull Plaza (Conoil Building), 14Th Floor. Lagos. Lagos. Synergy Suite. (Directly Fronting Ritalori Hotel Gym)1 Taoridi St,Off Baba Anim. Lagos. Lagos. 4, Human Rights Avenue, Kano. Kano. Kano. Nigerian Law Firm Advoocat Barristers and Solicitors, energy, Lagos Law Firm with experince in Telecommunication, dispute resolution and more. 6Th Floor, Uba House. Lagos. Lagos. A legal firm that has secured its place as a leading dispute resolution and full service commercial law firm in Nigeria. Nal Towers, 20 Marina. Lagos. Lagos. 3A Ologun Agbaje St. Lagos. Lagos. 256A Ikorodu Crescent Dolphin Estate. Lagos. Lagos. ADEDEJI & OWOTOMO is an intellectual property law and practice providing quality legal services comparable and acceptable internationally. 27/29, King George V Road. Lagos. Lagos. 224 Sapele-Warri Road. Sapele (Delta). Delta. E. F. Eruvwetaghware & Co is a full service law firm offering a variety of legal services. Our practice areas include corporate law, family law, oil & gas, litigation and dispute resolution. 9, Queen Elizabeth Road. Ibadan. Oyo. TOLP has competent and adept Lawyers with vast knowledge and experience in several areas of practice. Martsofia House, 8, Lyi-Olawale Street, Akoka. Lagos. Lagos. St. Nicholas House (10Th Floor). Lagos. Lagos. 24 Idowu Taylor Street. Lagos. Lagos. 9 King George V Road. Lagos. Lagos. 51A, Ikorodu Road. Lagos. Lagos. Suite 301, Spaaco House, 27A. Lagos. Lagos. The Penthouse Suite, 16Th Floor, no 1-9 Berkley Street. Lagos. Lagos. Suites B 26/27, Fanaha Shopping Mall, Plot 1147 Behind Ap Plaza. Abuja. Abuja FCT. 12, Adewole Crescent. Lagos. Lagos.